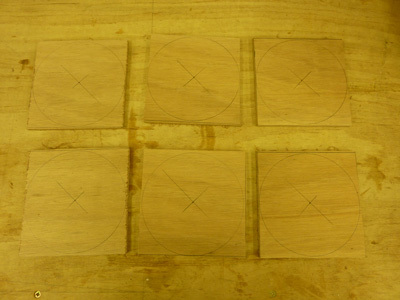 This months plan was to turn these into circular bilge covers. Hard to believe the last time I picked these up was the end of September, some two months ago. The disk sander made short work of the project and I added a flat on one side to aid removal from the floor. 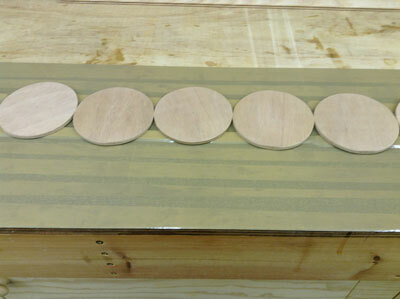 Here they are laid out ready for their first coat of epoxy. The parcel tape is to project the bench from spills and the two pieces of timber simply raise them up for ease of handling and so the epoxy doesnt puddle around each disc. I coated both sides, allowing for a drying period between each. Then I sanded both sides and re-coated. Finding ourselves staying overnight in London for a Christmas party we took the opportunity to visit Golden Hinde II located near Southwark Cathedral and Borough Market. Borough Market is definitely worth a visit. The ship is a genuine replica and was launched in 1973 and has traveled more than 140,000 miles since. 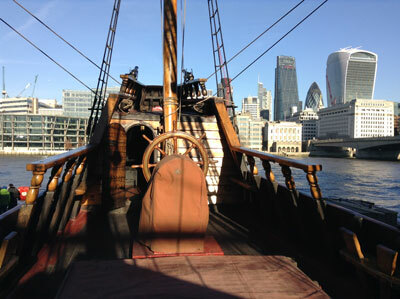 This picture was taken from the main deck looking aft with the City of London as the backdrop. If you though the bilge cover project was dragging the Hobbity wood store was suffering a similar fate. I finished this in February 2013 but without a top capping. 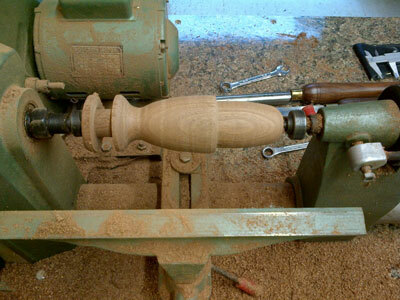 My vision was a simple rectangular sectioned piece of timber with an acorn finial each end. So I brushed up on my wood turning notes and set to work. Here's the first one taking shape. 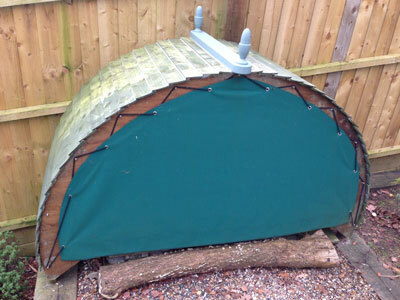 And here's the finished assembly painted and bonded onto the top of the wood-store.